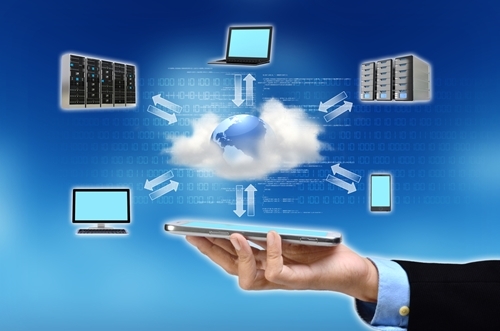 Federal agencies widely recognize the need to embrace cloud integration. The cloud can offer tremendous advantages, from greater cost-efficiency to more flexible information access and beyond. To continue to meet the nation's evolving challenges, the government as a whole needs to leverage these capabilities. However, there are a number of obstacles which have thus far prevented broad adoption of cloud technology. Among the most serious of these is the issue of cloud security. For many agencies, and particularly military organizations, the extremely sensitive nature of their data resources has made decision-makers reluctant to move information onto third-party cloud servers. Yet a willingness to take this step is often critical for full cloud integration and maximum benefits. Now, the Department of Defense is readying to move in this direction. Next month, the DOD will identify a number of pilot programs that will move departmental data onto non-military cloud servers. Terry Halvorsen, acting chief information office for the DOD, revealed that the department is planning to announce five pilot programs in the coming weeks that will hopefully demonstrate the ways that sensitive military data can reside in a public sector-owned cloud environment. "We are probably not going to put a lot of Level 3 data into what I would call a standard open cloud. But we will be putting in semi-private clouds," explained Halvorsen at the recent Federal Forum conference, Federal News Radio reported. "I could see some of that data going into government-only clouds that are in the commercial sector, but it's partitioned so that it's only government." Halvorsen further explained that this effort is important because it will give the DOD greater confidence to take advantage of cloud solutions as a means of improving agency agility, security and affordability. He added that he is meeting with various team leaders to ensure these pilot programs get up and running quickly, the news source reported. As the news source reported, the DOD's efforts will include a specific focus on business process mapping and evaluation. "The DOD CIO in conjunction with the DOD deputy chief management officer is undertaking a review of the business systems and the processes of the fourth estate – that's all the principle staff agencies like Acquisition, Technology and Logistics," said Halvorsen. "Within that, we are doing some data benchmarking." Data benchmarking business process information is important because it involves low-risk data that can be safely stored and shared in cloud environments, according to Federal News Radio. The need for the DOD to improve its cloud integration efforts has been clear for some time. Earlier this year, Rep. Niki Tsongas, D-Mass., and Rep. Derek Kilmer, D-Wash., introduced legislation specifically designed to enable the DOD to take advantage of the cloud without compromising its sensitive data. Rep. Tsongas emphasized that the DOD must look to best practices from both the government and private sector as it moves to further embrace cloud solutions, Gov Info Security reported.